1. 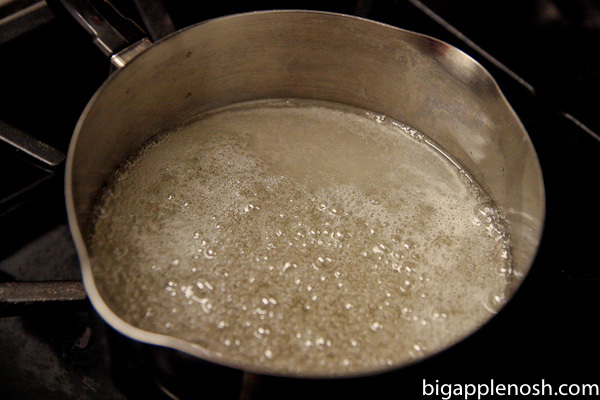 Preheat oven to 325 degrees F. Grease a 9-by-13-inch pan with butter or baking spray. 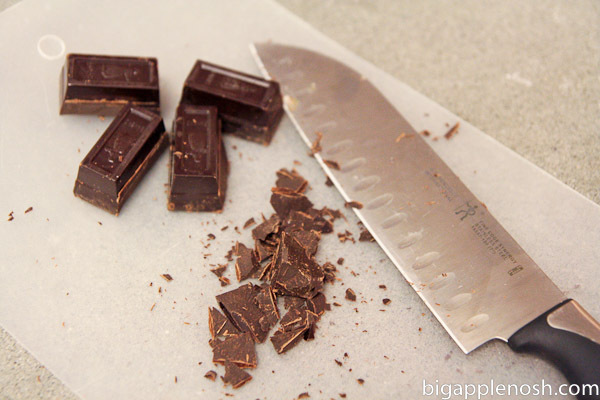 Chop the chocolate! 3. 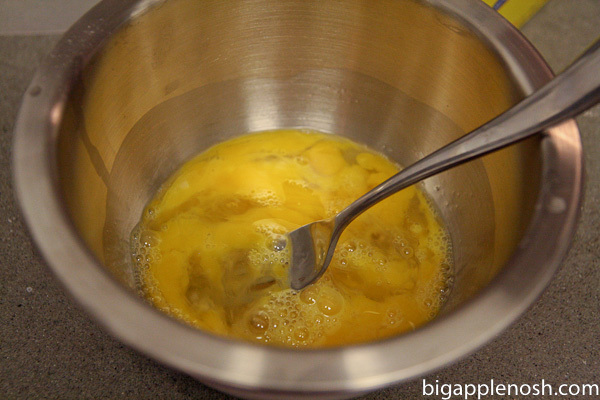 In a separate bowl, gently whisk the eggs. 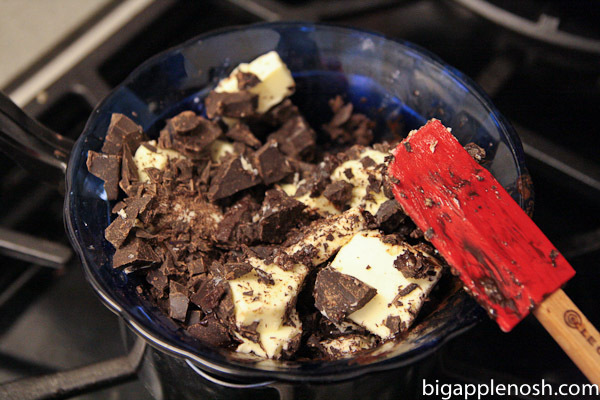 Add a small splash of eggs to chocolate mixture, stirring immediately (but still gently). Drizzle in the rest of the eggs, stirring constantly. 4. 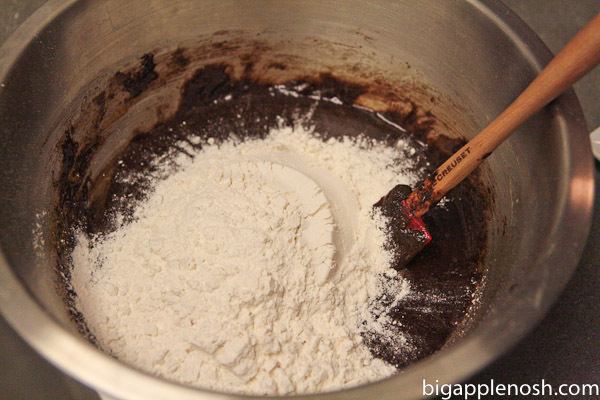 Add flour and stir until combined. 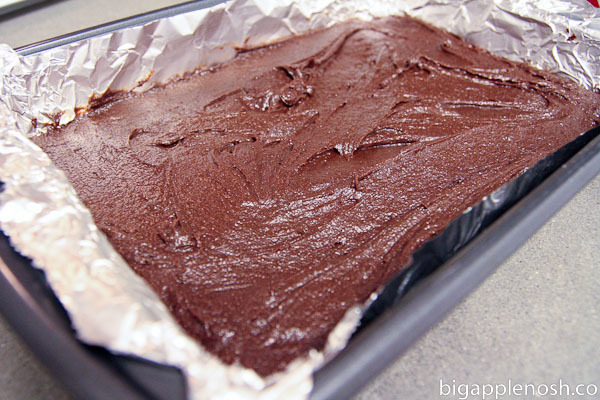 Pour batter into greased baking pan and spread to even out the surface. 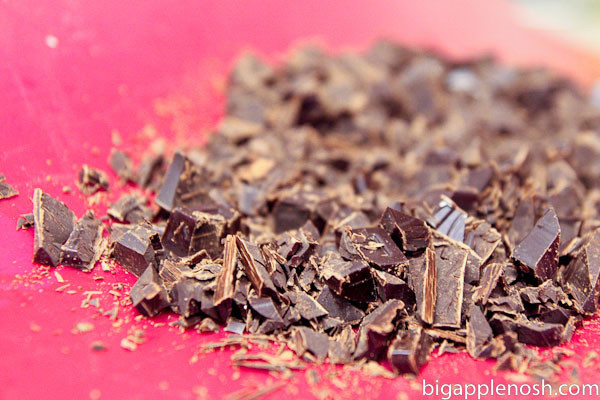 Bake for 25 to 30 minutes, then remove from oven to cool completely in the pan. 2. 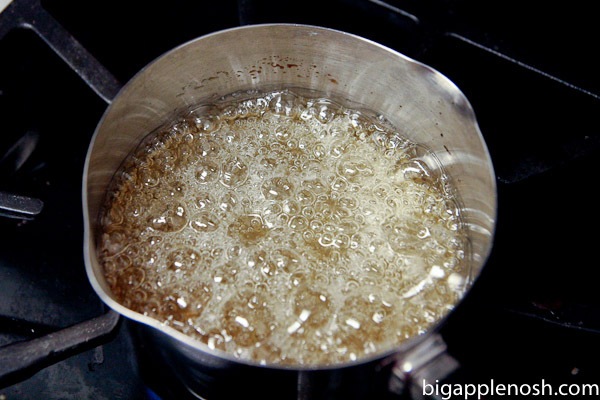 In a separate tall saucepan, combine sugar and water. Do not stir. 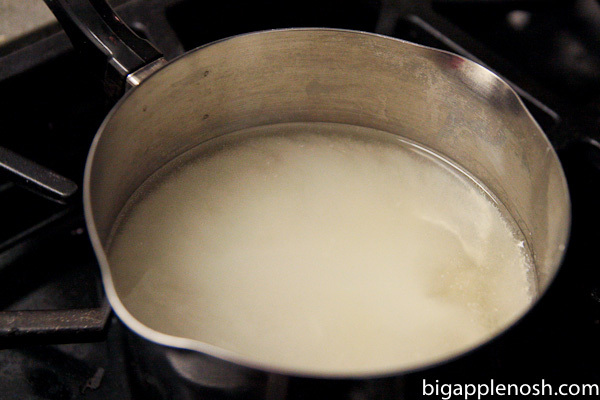 Place over medium-high heat and bring to a boil. 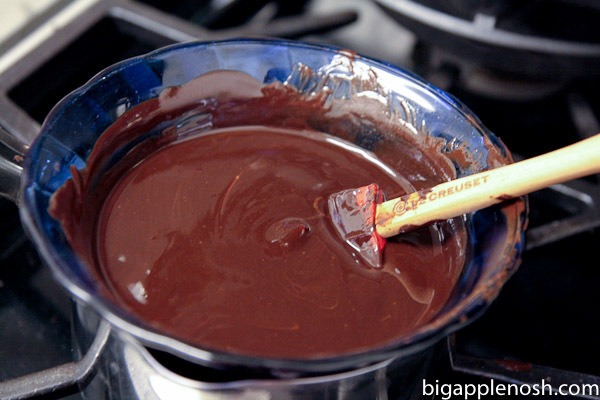 Cook until the mixture turns an amber color—not too dark, but definitely amber. Remove pan from stove. 3. 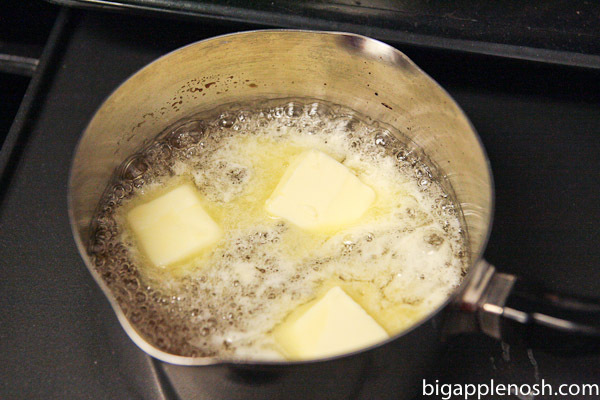 Add warm cream, butter, and salt. 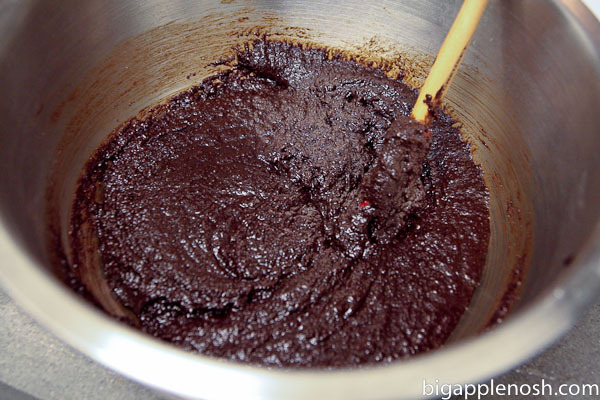 Stir gently until mixture is smooth and well combined. 4. 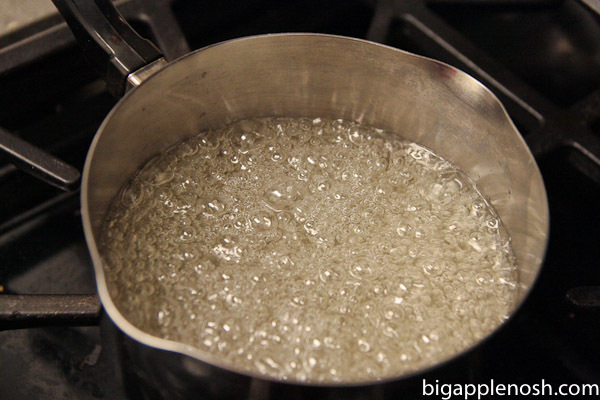 (If you’re doing this step) When it is smooth and calmed down a bit, pour in gelatin/water mixture and stir. 1. 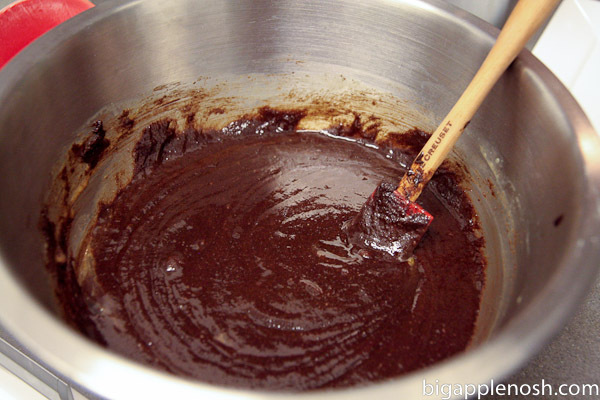 Let both the brownies and the glaze completely cool (Sadface as I wait patiently. Seriously, it’s like watching paint dry). 2. 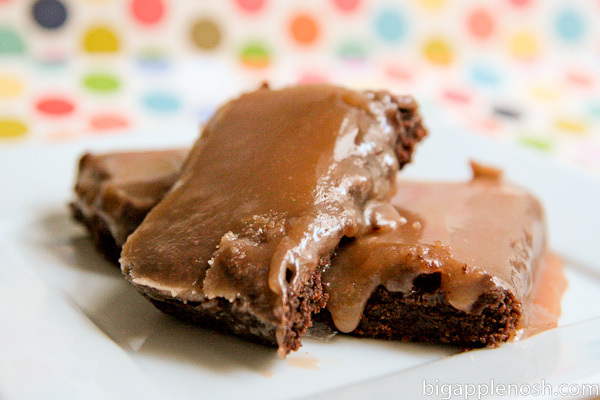 Pour caramel glaze all over completely cooled brownies. Allow to set completely. Cut into small rectangles and serve. Mmmm, salty. Caramely. DELICIOUS. 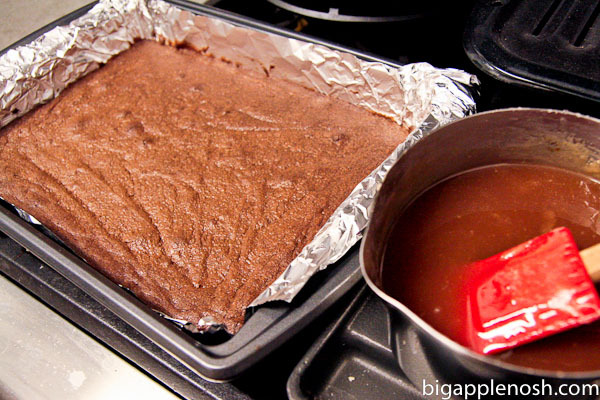 Try these brownies out and let me know how it goes! Salted caramel fan? Yay or nay? Gooey! That looks so good. OK, all I have to say is YUM! This may have derailed my entire morning – now I am craving some serious sweets! Ooh. I like. I want. Oh my, they look amazing! Anything caramel is delicious to me. Oh, heavens. Those look AMAZING. wow!! 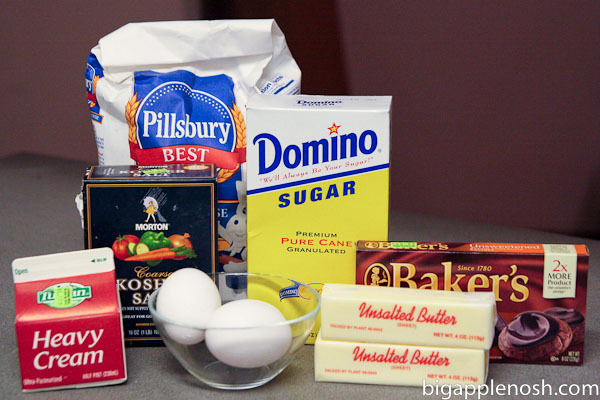 this looks delicious, I can't wait to add it to my holiday bake list. hell yes that looks awesome. 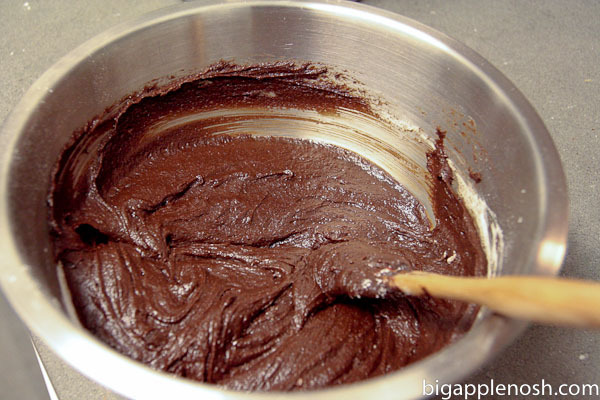 i love brownies because of the absence of a mixer. wowzers I wanna grab it from my screen and just eat it! i actually talked myself OUT of making a salted caramel dessert this year, the same one I made last Christmas, but now I'm regretting it from looking at this post. Anything with caramel, chocolate, and sea salt is a win for me! These look delicious. Oh goodness, those look delicious! I'm definitely going to try those this weekend. 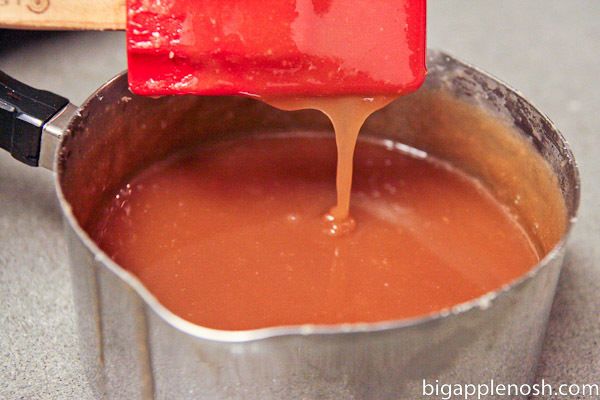 What is the difference if you add the gelatin to the caramel? Oh my goodness, my mouth is watering! 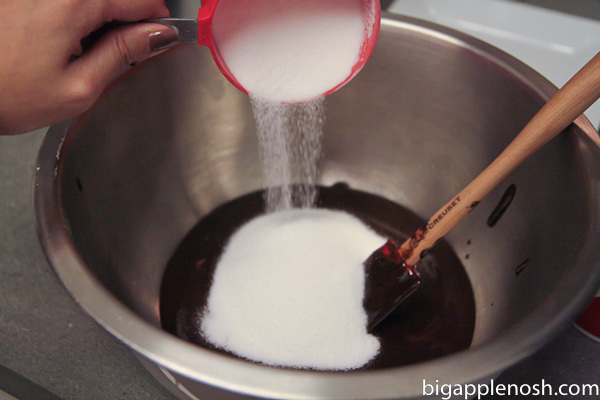 I made sea salt caramels over the weekend, but what a good idea to glaze this over brownies! Thanks for sharing! 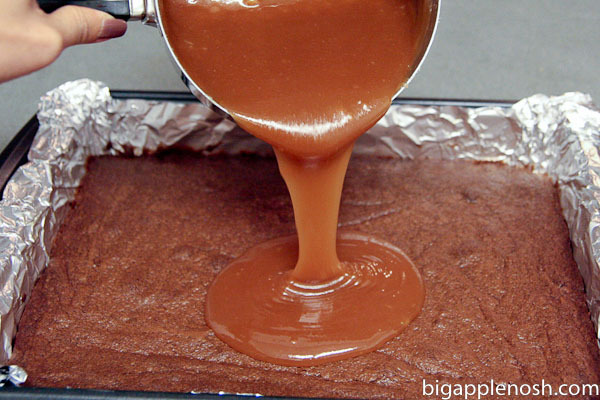 WOW…I dont think it would look that delicious without the caramel…it just makes it look that much better! Mouth watering! I should post the mint chocolate chip cookies me and my step daughters made! They were great! 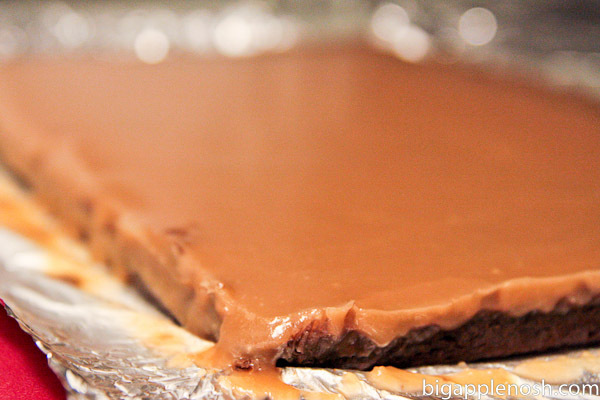 Mmmmm….Love salted caramel. These look amazing! These sound amazing! I love sweet and salty combos. Also, love your step by step pictures – very helpful! You're so smart. I made salted caramel for a salted caramel iced cream recipe, which didn't say anything about warming the cream first (although I should have considered that). So of course the cream hardened the caramel and it took FOREVER to dissolve and melt together! These look so so good!! Man! 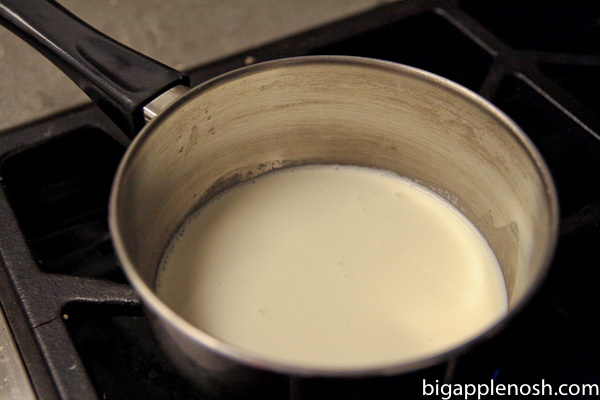 If I had heavy cream in the house I would have made these tonight. They look delicious!!! I made these for a New Years lunch! Quite easy to make and everyone enjoyed them!! I followed your directions (pictures) to the teee, but unfortunately for me, my Ikea spatula is NOT heatproof!! Lesson learned, but hmmm so many pretty new spatulas waiting to be bought! !